Emergent behaviour is the outcome of a Complex system. A close relative of Chaos, Complexity and Emergence are scientific theories that describe dynamic systems that self-organise from the bottom. Jane is a specialist researcher working with the theories of emergence and complexity in performance often involving digital technologies. Interest in the interface between science and art came about through a long-term creative collaboration with composer Daniel Biro (Director of Sargasso Records www.sargasso.com). The exploration of scientific ideas that generate dynamic creative patterning / new performance works started with an improvisational duet Strange Attractors. Through interlinking research projects involving scientists, artists, creative computer programmers, students including the Institute of Contemporary Arts with neuroscientist Dan Glaser. Supported by European Commission’s cultural programme Culture 2000 the e-Merge project took off in a residency at CAMAC France www.camac.org with Prof. Igor Aleksander of Imperial College. 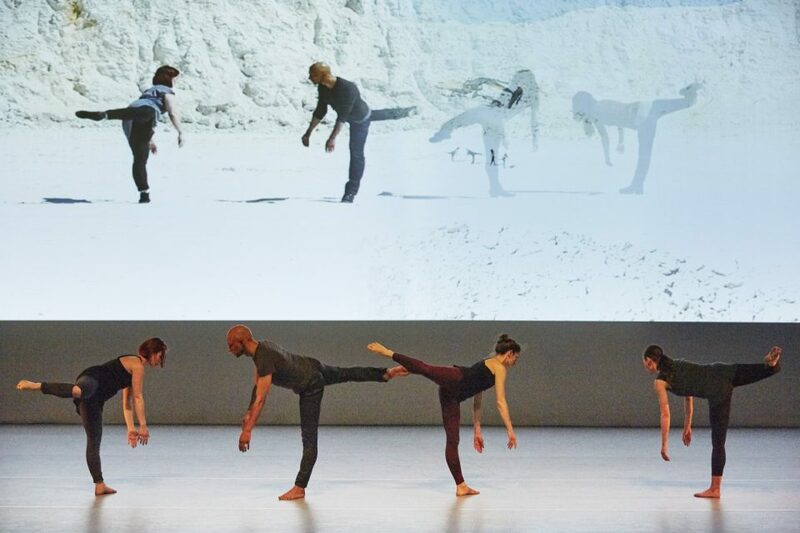 Tacit understanding that we are part of an interconnected universe where there is flow and flux between the micro and macro has led to a deep investment in exploring contemporary scientific theories in dance and performance making practice. Through the award of a student bursary I completed a practice-based PhD at University College Chichester (awarded a student bursary) out of this research exploring emergent systems as compositional model for creating dance-based performance. This formal research came out of long term collaboration with the composer Daniel Biro that initiated interest in Chaos, Complexity and its structuring similarities to improvisation performance work. My research journey has involved activities with scientists such as Professor Igor Aleksander of Imperial College (research residency at CAMAC, France 1999) and Dr. Daniel Glaser, ICA Scientist in-residence Emergence (2002), with artists and computer software/hardware designers exploring networking possibilities in the creation of emergent performance e-Merge (2004) and most recently creating emergent performance (without digital interface) in collaboration with Nick Rothwell for networking rule systems Bird, Bodies (2005) Baby (2006), Troop (2007) and Herd (2009) These last used the Isadora software and audio systems in creating multi-disciplinary performance. My research has been presented in a variety of formats: papers, articles, performances, seminars and underpins all my practice. I create dance performance that could called contemporary, digital, dancetheatre, where the work is to some degree a self-organising system, a combination of art and science. An essential component of a complex system (and one that can exhibit emergent behaviour) is that its interlinking elements – dancers, collaborators, objects, environments – have a history. These are evolved from the multiple strands of experience, skills and testimonies and weave together in new presents or presence, fractal performance.